Discos en vinilo y CD de Clone Royal Holland. 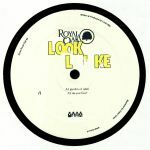 Review: Having previously impressed with a trickle of fine EPs for L.I.E.S and Exotic Dance Records, man of mystery Person of Interest pops up on the ever-reliable Clone Royal Oak. Lead cut "NOYFB" is an intriguing proposition, fusing as it does the rhythmic swing of UK garage, the spacey futurism of classic Detroit techno, and the loved-up ethos of early US deep house. The latter two influences shine through on the alternative "Straight To Tape" version, while "Pareidolia" mixes jaunty analogue electronics with the low-end throb more readily associated with British-made house and techno. A fine EP comes to a close with "Carmen", a particularly woozy, cymbal-heavy late night excursion. Review: Maybe it's something to do with Sabre's Portuguese background, but whatever the explanation, this latest release is full of breathy, sun-kissed melodies and ramshackle grooves. It starts with "Cascavel Breeze", where woozy, psychedelic chords unravel over broken down drums and a beat-down rhythm. "Vigilante" is based on the same template, but on this occasion it sees Sabre conjure up jazzy keys and loose drums, against which there is some nonsensical but hugely enjoyable vocal wittering. "Ghetto Prophet" is the main dance floor track and features a searing bass fused with dreamy melodies, but the standout track is "Streets Of Love - Blaze". It sees Sabre lay down a hypnotic deep techno pulse to which he adds freeform synth lines and cosmic pan pipes. Review: The Space Dimension Controller has landed for another round of Correlation explorations on Clone Royal Oak. Take us to your leader? Nah. Just play us some of your newly discovered space oddities, we say! There's some real deepness to be found in other parts of the universe, as the high tech soul of "Galactic Insurgents" proves. 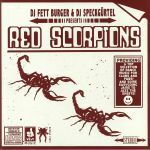 As does "Scatter Scanners" which throws in some seriously funky e-bass and new jack swing influence. The further discoveries are astounding: On the B side "The Trails You Left Behind" is some seriously inter-dimensional electro funk that'd make Gerald Donald stand up and notice, while the haunting "Nova Project" is a dark cinematic cut reminiscent of John Carpenter.